On the 31st July 2011, we were all gathered here on that very day morning, at Bukit Timah Railway Station, for a final Goodbye to our KTM Railway Tracks, organised and initiated by the group, We Support The Green Corridor, it was a walk to remember the last bits and pieces of our history and heritage. This was also an opportunity by We Support The Green Corridor group, to thank their supporters who were part of their movement and to continue engaging the supporters for the future of the Green Corridor. 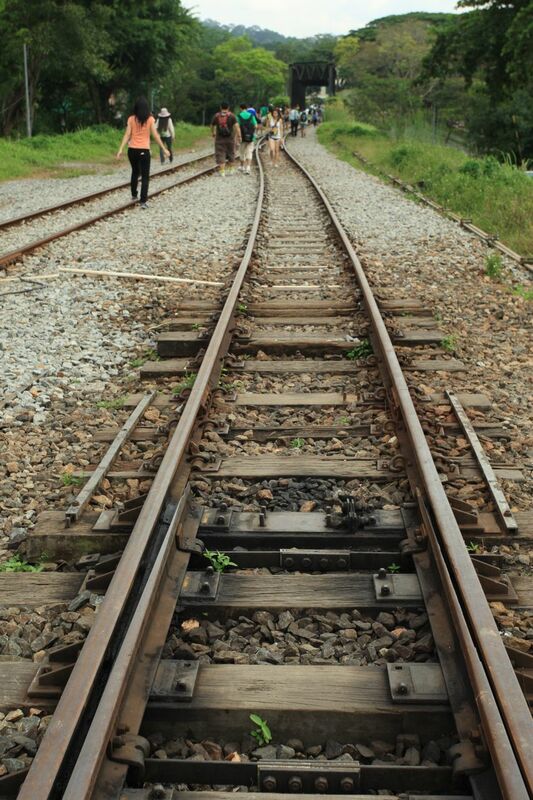 As most of the railway tracks were closed to the public after the official handover from the Malaysian Government to the Singapore Government, this was the final stretch of railway tracks there were open to the public for walking. It dawned upon me that this would be the final chance to walk the railway tracks again in its original form, therefore, I joined in with the rest of the supporters there for the Goodbye Walk. It was also an opportunity to finally meet Eugene, the owner of We Support The Green Corridor, we were conversing via emails on this common topic/interest of ours on submission of my posts, photographs of the Green Corridor and referral to joint project/submission with other organisations. Before the walk commenced, Eugene gave a short speech and was also interviewed by the news crew too! He appeared on the evening news that day! 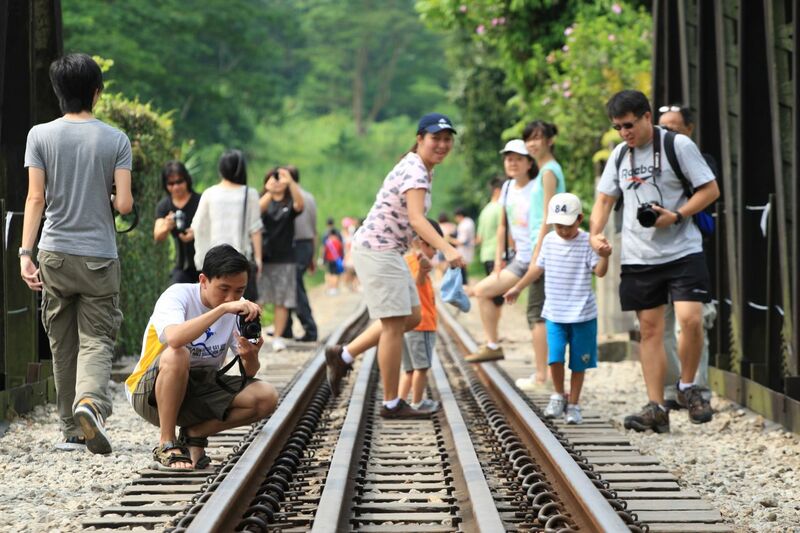 Along the trek from Bukit Timah Railway Station to Rail Mall, the signs of removal could be seen, nevertheless, we soaked in the atmosphere and enjoyed the greenery, company of friends and tranquility of the railway tracks. As for the changes and damages to the railway tracks and forestation behind, I would leave it in another post to share my views. 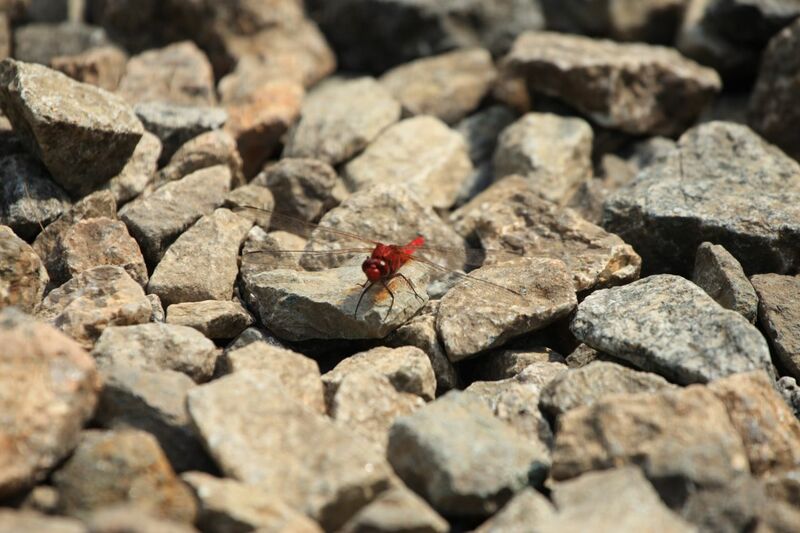 While there weren’t many wildlife that morning, we managed to spot the beautiful dragonflies, fishes in the stream and a few birds. Trekking slowly together behind with Judith, Jerome and Jerome’s daughter, we were informing each other to look out for photography opportunities along the Railway Tracks and the Green Corridor. 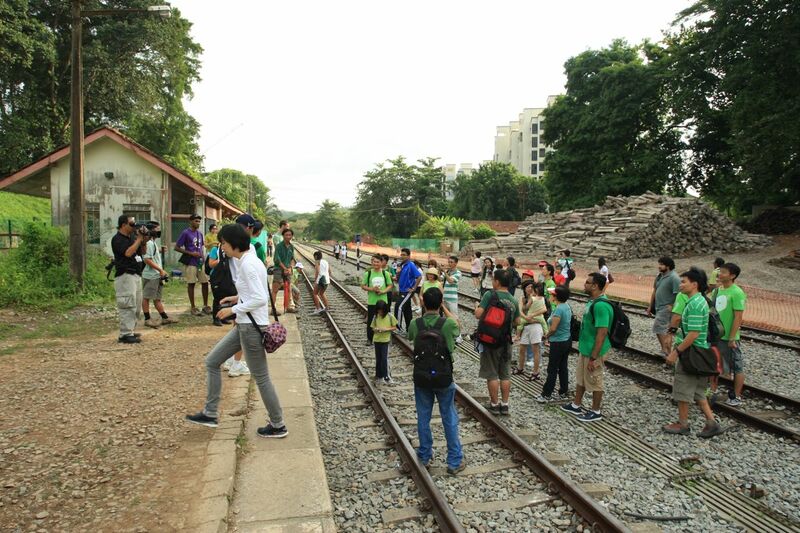 Since we were a bit slow, we were pretty much the last group of trekkers to reach the railway bridge at Rail Mall, joining up with the rest of the Goodbye Walk trekkers, for a rest and drink, chatting and sharing our Railway Tracks and Green Corridor stories and adventures. In our chat, we were hoping to trek the Old Jurong Line too someday in the future and I would probably be there to help bring them around for a trek! With that, it marks the end of the Goodbye Walk, in depth thoughts and views of some of the developments, discussions and my own personal thoughts on The Green Corridor can be found HERE on my personal blog. Meanwhile, you can check out more photos of the Thank You Walk here on Flickr! As much as we are sad about the end of the Railway Tracks, let’s welcome The Green Corridor!